London Museums-In this post I want to talk about my favorite museum, the Natural History Museum in London. A museum that not only I like the content. But I also like, and much, its architecture. When I was little, my favorite museum was the Science Museum of Barcelona. ​​The current Cosmo Caixa, but when I got back home I was not the same. I remembered it bigger and funnier but of course. My memories were from the point of view of a little girl who loved to participate in all the experiments and the toque-toca. Now that I’m older, the museum that I like the most is the Natural History Museum in London. As you can see, my tastes have not changed and science is my passion and profession. In 1753 Sir Hans Sloane, physician and botanist of Northern Ireland, left his extensive collection of curiosities. And objects related to natural history to the nation. The collection of Hans Sloane was in the British Museum until in 1860 the manager of the natural history collection. Sir Richard Owen, asked the government for a new building. The new building would be built in the south of Kensington. Where previously the building of the International Exhibition of 1862 was located. This building was considered one of the ugliest built in England. It seems a lie but the architect of this ugly building, Captain Francis Fowke. Won the contest to design the Museum of Natural History. A few years later, Francis Fowke died suddenly and a young and little-known Alfred Waterhouse was commissioned to build the current museum building. The entrance to the Natural History Museum of London is free. However, in order to access the temporary collections you have to pay. Among the permanent collections we find examples of plants, animals, fossils, meteorites, stones. And minerals. So there is something for everyone. Personally, the area that I like the most is the fossils. The dinosaurs are on vacation! As I have told you, the collection of fossils, specifically that of dinosaurs, was my priority. If I’m like a kid! The first day we went there was a sign that said the dinosaurs were on vacation. My face was disappointed, David can tell you, but then we saw that they were returning from vacation just the day we were leaving. So the last morning in London we spent visiting this museum that I like so much. Looking for information for this blog post I have found that, for free, the months of most visitors can book a ticket to not queue at the dinosaurs exhibition. The truth is that I do not know how it works because when we were not aware of the existence of this ticket. If you go with children it is a good option because we already know that children do not like to wait. 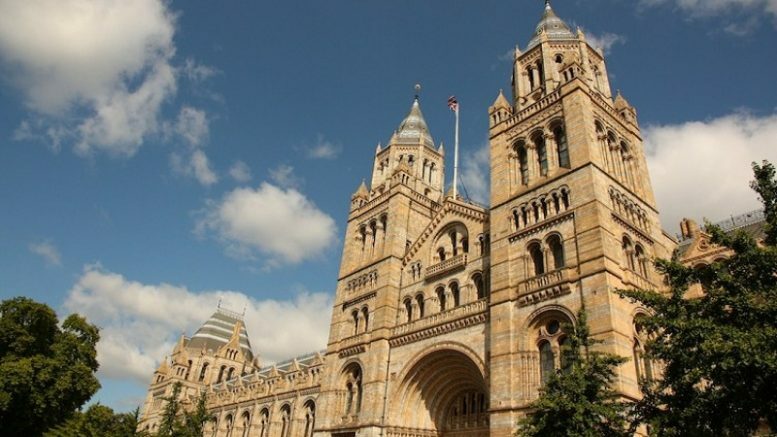 Be the first to comment on "London Museums: London Natural History Museum"